I am really enjoying taking the Derwent Art Academy free class. Not only am I super excited to get through the lessons in order to get my choice of 18 pencils, I am actually learning from each lesson! They seem so basic in some ways, but unless you go through a course you forget some of the basics that are really the backbone of successful work. The stippling course was not my favorite though. The lesson is good, its the production that is was difficult for me. 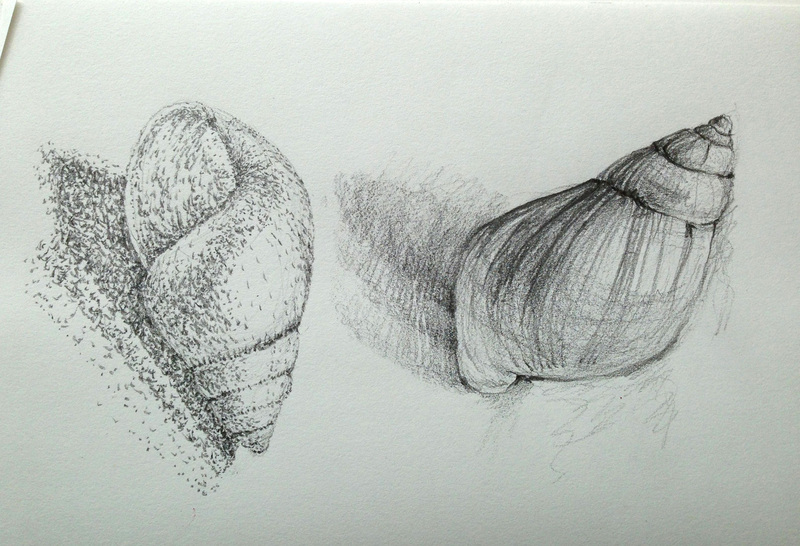 I have done stippling with ink and I think that with paint i would like it. Pencil stippling is a long and tedious process! Even with such a tiny little drawing I found myself wishing that it was all over! It was all I could do to stick with it. But, it did teach me to slow down and the slowing down helped me really look very carefully at my subject. Onto something a little more fun. Lobster claw study in color. Maybe I will add some controlled stippling as a tribute to my lesson! 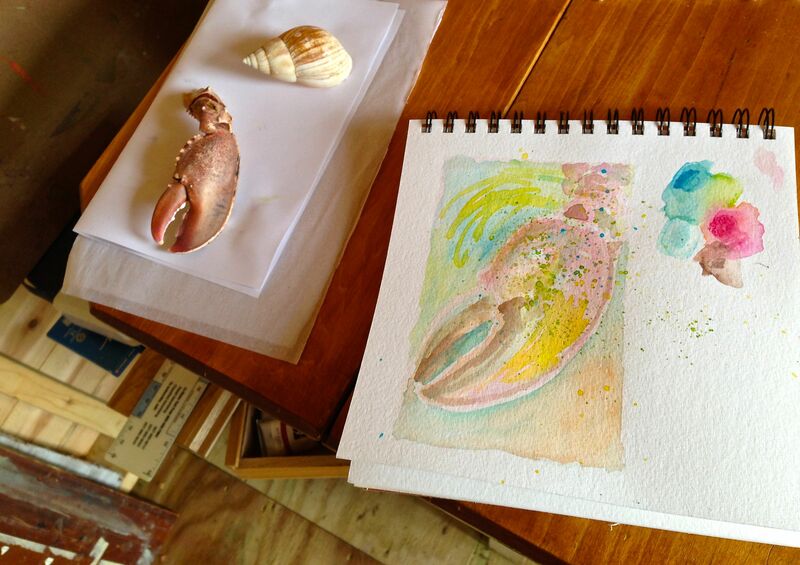 This entry was posted in Uncategorized and tagged pencil, shells, sketching, small painting, water soluble crayon. Bookmark the permalink.